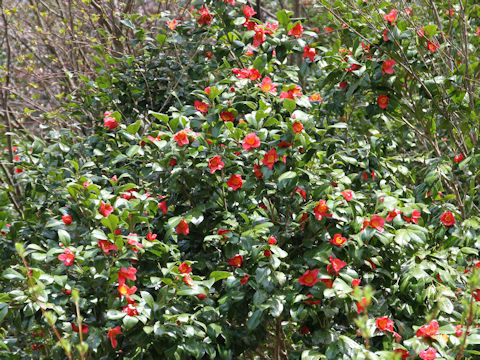 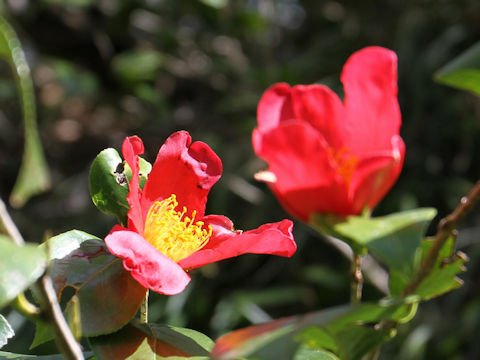 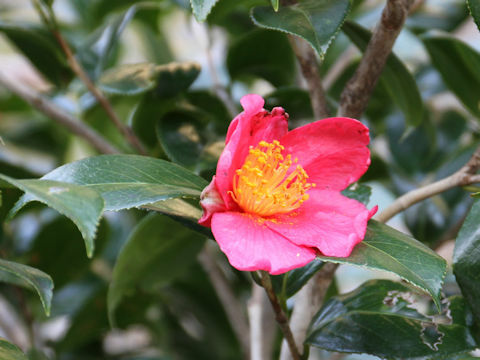 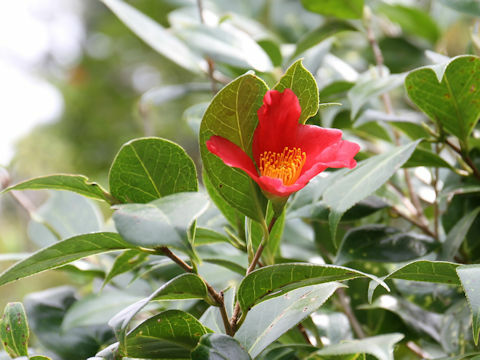 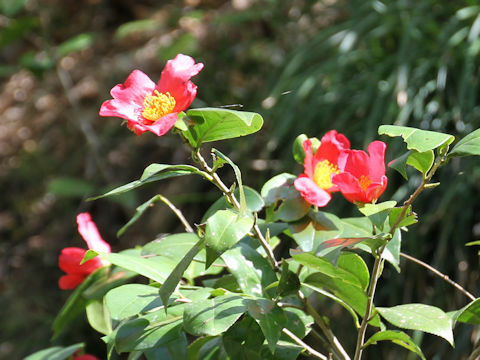 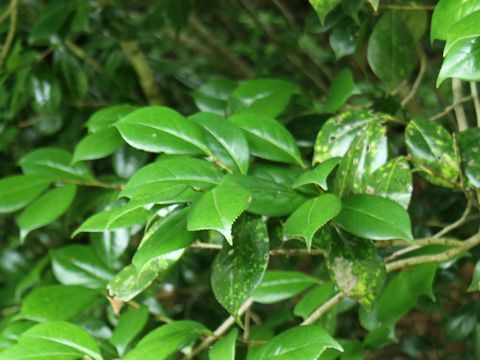 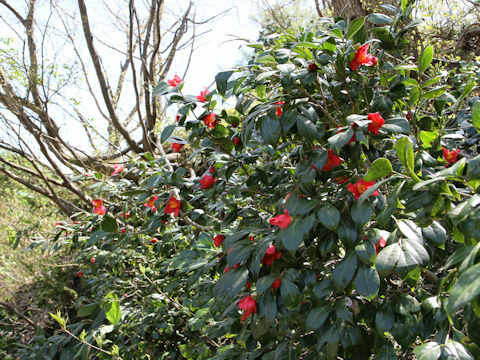 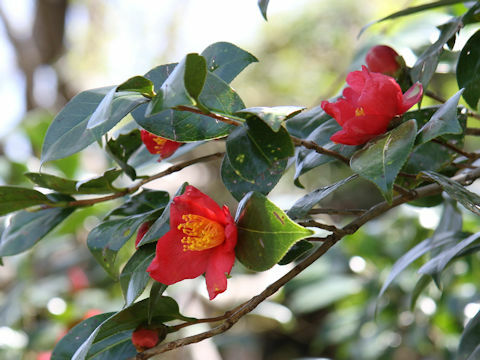 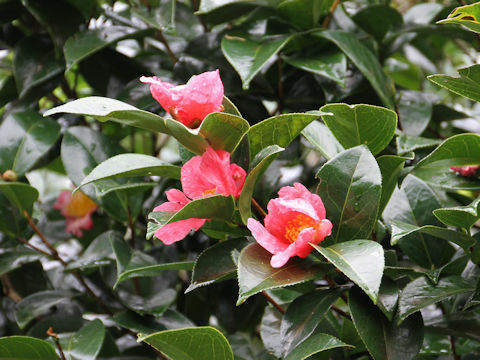 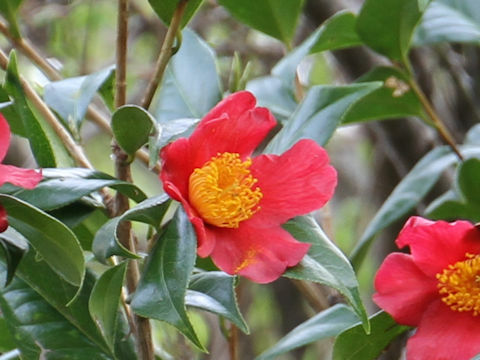 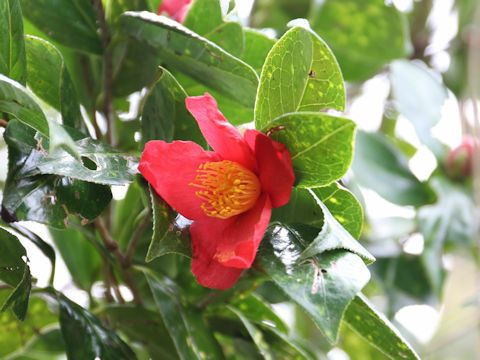 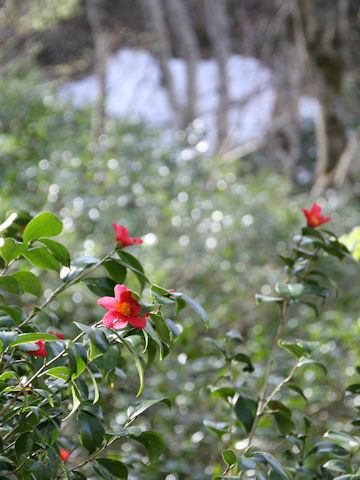 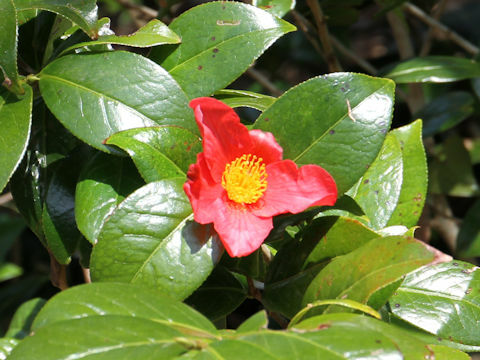 "Yuki-tsubaki" (Camellia japonica var. 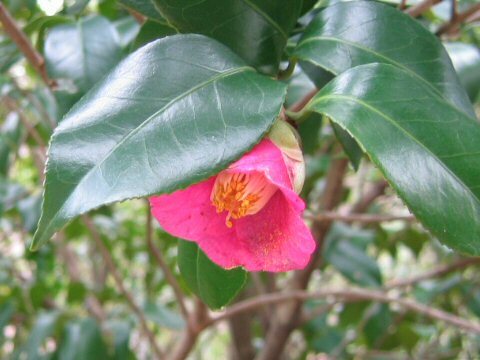 ecumbens) belongs to the Theaceae (the Tea family). 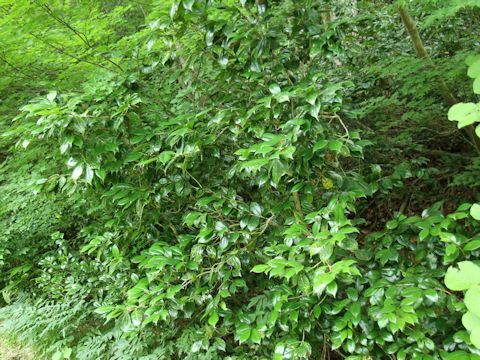 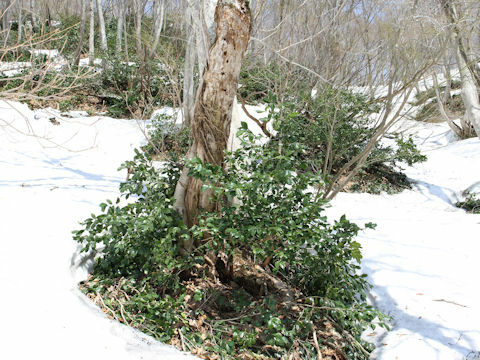 It is a small evergreen tree that is distributed to the Sea of Honshu, from Akita prefecture south to northern Shiga prefecture. 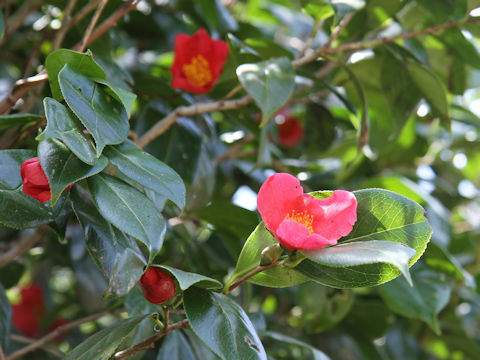 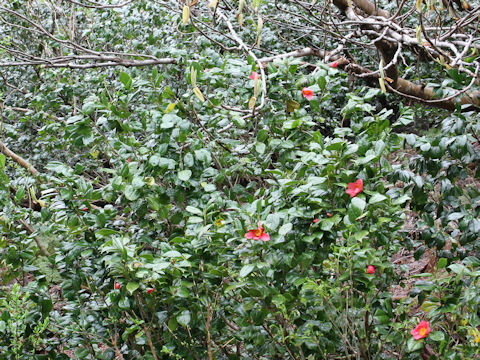 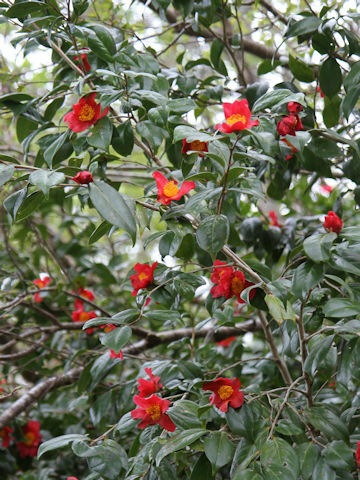 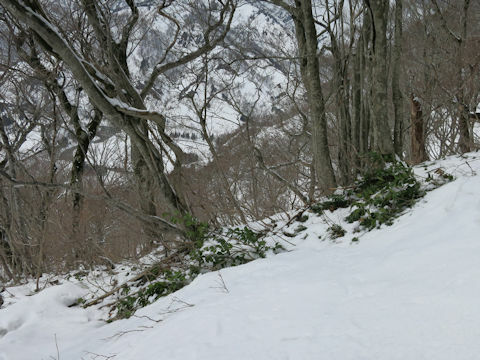 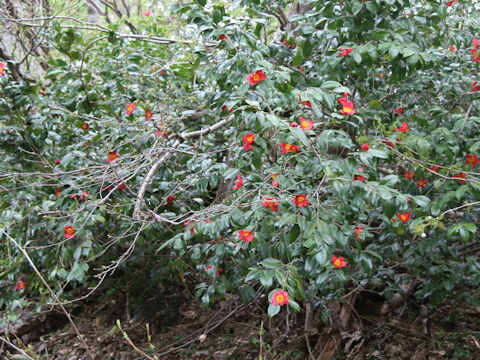 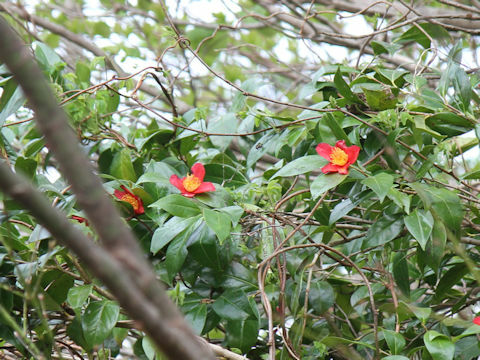 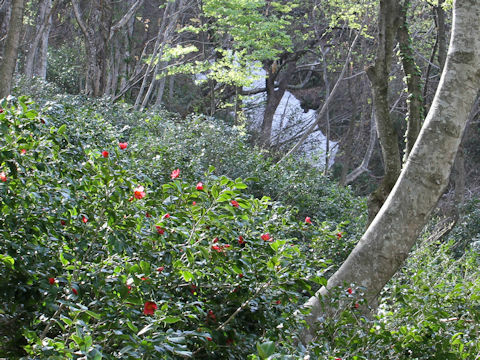 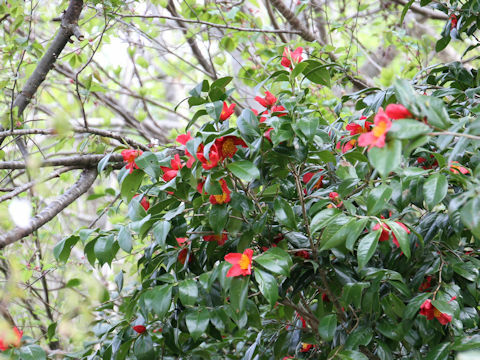 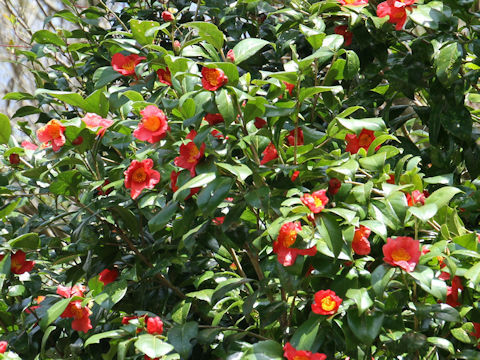 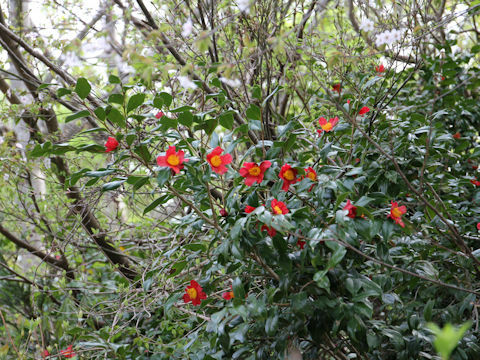 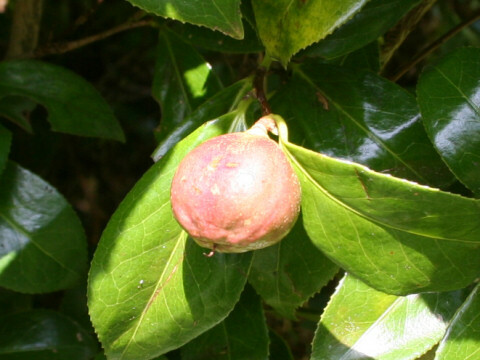 This tree is a heavy-snow region variety of Camellia. 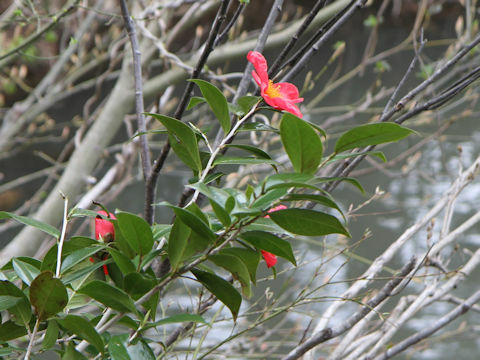 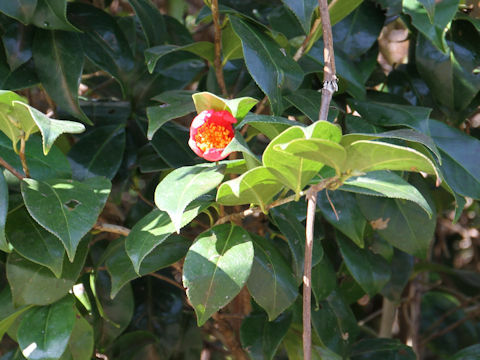 The branches are pliable and the leaves are elliptic with acute toothed edge. 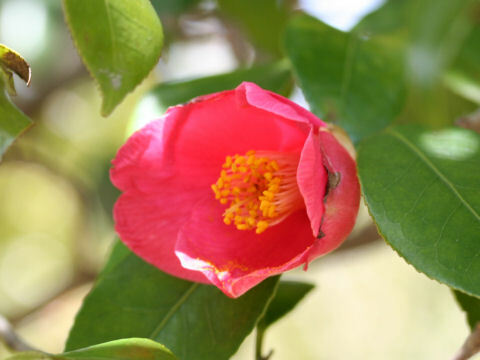 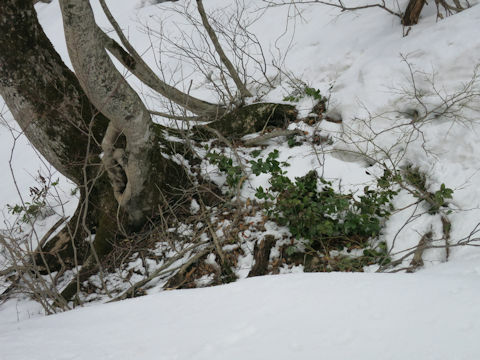 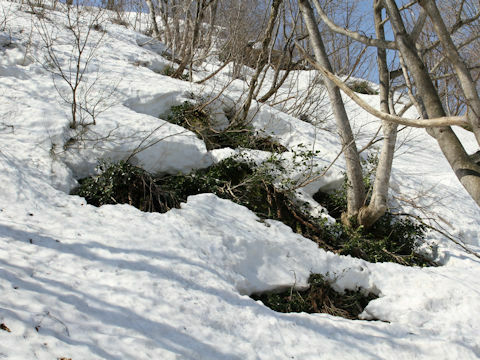 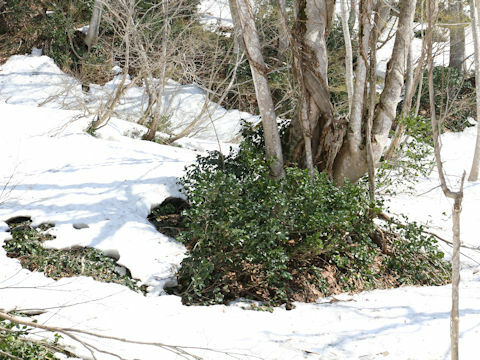 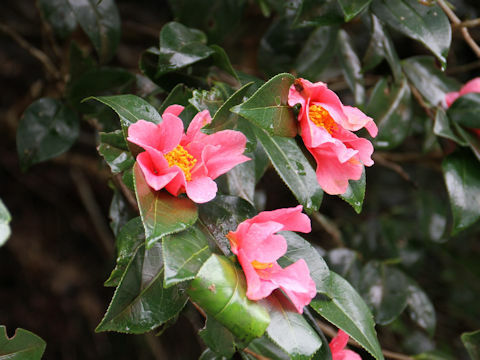 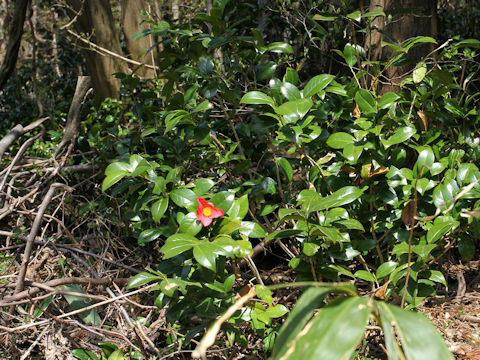 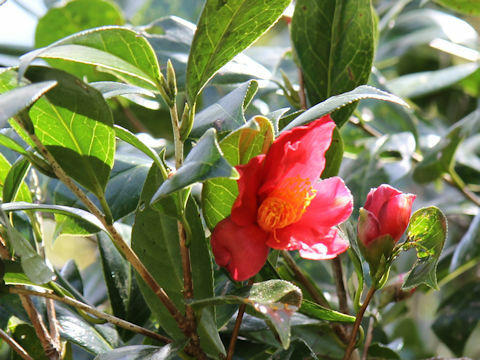 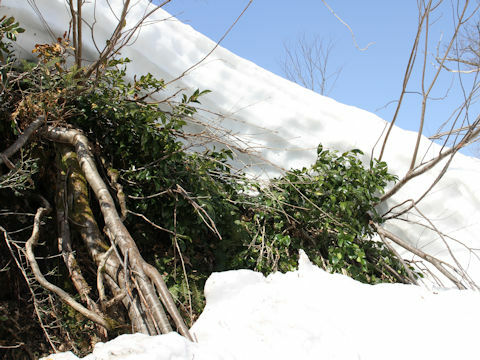 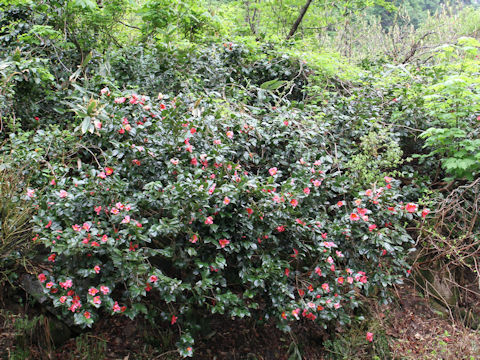 This camellia is protected from low temperature and dryness by being buried in snow, and it bloom immediately after waiting for snow melting. 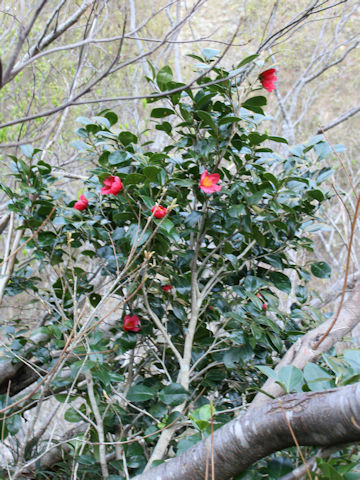 The rose pink flowers bloom from April to May. 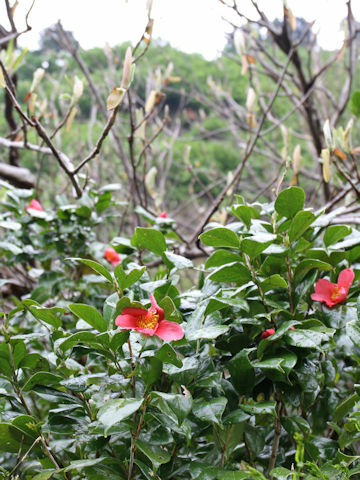 It is characterized by yellow filaments, each one being separated.